IHG Rewards Club can still be very rewarding program IF you can work the promos of earning points and using them for Point Breaks hotels at 5,000 points per night. You can access IHG Rewards Club webpage here. If you have status with a chain that IHG Rewards Club matches, you can get Platinum status match easily (read more here). This is absolutely the best deal when it comes to hotel rewards. Every two to three months IHG Rewards Club releases number of Point Breaks hotels for bookings in the following couple of months. These are only 5K points per night regardless of the usual number of points required for night and best properties tend to go fast. IHG Rewards Club also has Last Minute Reward Nights for the first weekend of each month at 50% off. Social Flash sales at 25% to 75% off took place few times at the end of 2013. We’ll see if they make a return in 2014 as well. In addition to Point Breaks, IHG Rewards Club has regular awards, Points + Cash, you can use points for gift cards, flights etc. Many used to complain that it was unfair that you would earn the same flat 2,000 points per stay at InterContinental hotels regardless of the length or price paid. You can use IHG Rewrads Club points to redeem for Any Hotel Any Time branded stored value cards. You can use these to pay for any hotel. Redeeming for these can be very lucrative if IHG Rewards Club has a promotion for discounted Any Hotel Any Time cards like they did years ago. IHG Rewards Club has a number discount plans for Europe and other regions. They also tend to have sales around the holidays in Europe and China. The most popular one is the of 2-4-1 for Europe (read more here). InterContinental Hotels Group has a public Friends & Family program that is open to anyone (read more here). Note that these rates do not qualify for points or stay credits. Status related benefits may be extended depending of the hotel in question. IHG’s most consistent brands are limited service Holiday Inn Express and Candlewood Suites brands. IHG Rewards Club stays seems to post without having to follow up most of the time. Although the terms and conditions of this guarantee have changed several times during the past year, they are still offering a completely free night IF you can find a lower comparable rate in the same currency. The first night is completely free and there is no requirement to book more than one night. Points never expire. At least they do not for now. IHG Rewards Club lacks in social media participation. Hilton, Hyatt, Marriott and Starwood all have representatives replying to concerns about program and properties. They typically help program members to fix problems they are having. The IHG Rewards Service Center is located in Philippines and the associates replying to emails, if you ever get a reply, or manning the lines, have probably never have stayed at an IHG property. The first reply is normally a blurb of text that doesn’t necessarily have anything to do with the question. On a rare case that I have needed to solve a problem, it has usually been fixed after couple of rounds of emails or by phoning the service center. This is the part that is quite difficult for many to understand because it is unique for IHG. 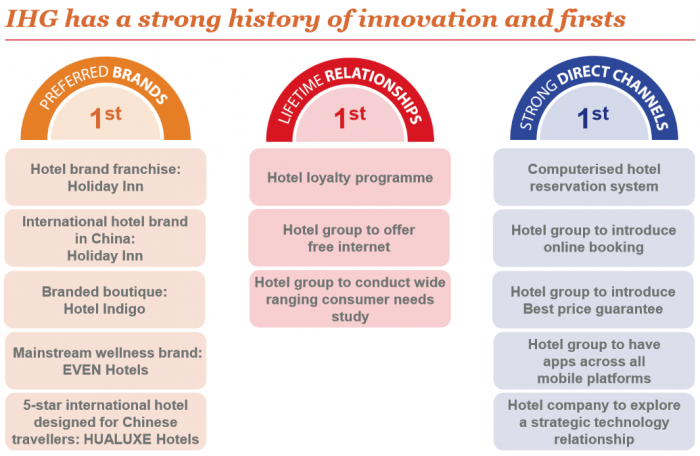 InterContinental Hotels have a different program for status recognition than other IHG hotels. You need to buy an Ambassador membership that costs $200 or get it through a promo. Ambassador status gets you instant Gold with IHG Rewards Club. There are very few hard benefits beyond some extra points based on the IHG Rewards Club Gold or Platinum status. Internet access, breakfast, club lounge access or guaranteed early/late check in/out are not IHG Rewards Club Gold or Platinum benefits. Priority Club announced a set of Gold/Platinum benefits that are confirmed but they are only applicable for Priority Club properties in Greater China. IHG Rewards Club Gold & Platinum members have been eligible for complimentary internet since mid 2013. All IHG Rewards Club members have had complimentary internet access from January 1, 2014. Some properties will go beyond what is required by the program T&C’s, when it comes to treating elite members. IHG Rewards Club used to be very liberal with status matched and what counted to the point minimums (all points earned). This all changed in 2014, however. No status matches anymore and only base points and bonus points packaged continue to count. There are credit cards in many markets, however, that continue to give holder Gold or Platinum status. IHG Rewards Club allows you to register for many promotions that you are not targeted for. Quite a few will post but not all. You really don’t know before you have done the stays what works for your account and what doesn’t. Officially, most of the elite benefits do NOT apply on award stays. Most of the properties do extend them but they don’t have to. IHG Rewards Club ended the Ambassador Accelerator bonus points program for 20,000 points every 15 nights without any announcement (read more here). Now, they seems to have ended bonus points for stays at InterContinental hotels without any communication as well (read more here). You earn 2000 base points regardless of the spend at all InterContinental Hotel properties outside of the Americas. In the Americas, you will earn 10 points per dollar spend at InterContinental Hotels, but only 2000 at the InterContinental Alliance properties. Big Win, Into The Nights, Set Your Sights Etc. Big Win made its debut (really the old Crack The Case) in the fall of 2013, returned for the spring of 2014 and became Into The Nights in the fall of 2014. 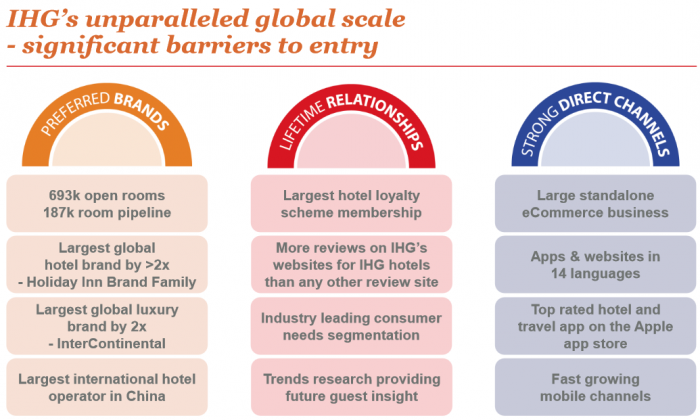 The number of stays, brand or other promotion requirements made it onerous for some members to complete it that stay a lot with IHG. Non-frequent members received generally better offers. IHG Rewards Club has made number of negative changes to its program without ANY communication to the members. I try to cover them all here on LoyaltyLobby with the help of readers. Although IHG has spent considerable amount of money trying to bring these two brands to brand standards, there are still great number of Holiday Inn and Crowne Plaza hotels that have seen their better days and should be either fixed up or reflagged. There were number of issues with the Into The Nights promotion that IHG Rewards Club had in the fall of 2014. Some members had their targeted offer change number of times, the promotion dashboard didn’t update for more than a month, the hurdles didn’t always have proper information how to complete them, customer service was useless most of the time resolving the issues and I could go on and on. IHG Rewards Club should make sure that they have the IT and competence to properly run these promotions before launching them. IHG doesn’t have a hip brand like W or Hyatt’s Andaz. The only IHG brand that I like is the InterContinental. IHG tries to market Indigo as a boutique’ish hip brand, but I am not entirely sold on it. This is both the positive and the negative at the same time. The premise of getting a complimentary night if you find a lower price elsewhere is a good one. The hoops that you need to go through to take IHG on their promise, is not. IHG Rewards Club tweaked the Best Price Guarantee several times in 2013 and made online submissions the only way to file for a one. The Best Price Guarantee department is not properly manned (on purpose) and getting a reply from them can take days. All other programs provide a list of properties moving up and down on the award chart. Earlier this year, IHG didn’t release a list for competitive reasons. This was absolutely ridiculous. For the minimum, they should have provided this as all the other chains do. IHG Rewards Club started offering stay/night credits for award nights as well that count towards the status qualification.. Priority Club doesn’t give you stay/night credit for award stays like SPG and Hilton do. I really would like to be more positive towards IHG Rewards Club and the Ambassador program, but the changes in the past 12 months have been mostly negative. A friend of mine who holds top status in a handful of chains asked me if it was worth purchasing the the Ambassador membership and/or pursuing Royal Ambassador status. A few years ago this would have been a definite yes, however the recent “enhancements” have changed my opinion and I would just say “maybe”.